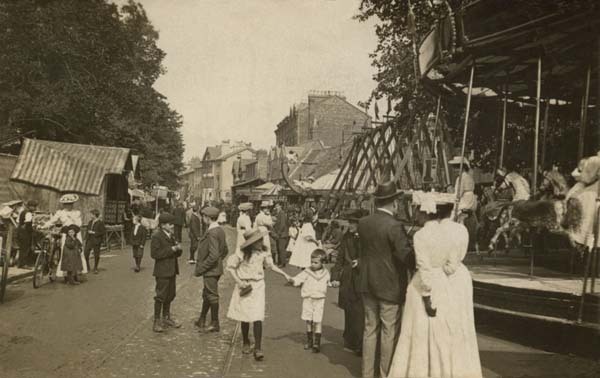 Since the nineteenth century, St Giles’ Fair has been held on the Monday and Tuesday following the first Sunday after St Giles’ Day (which is always on 1 September). 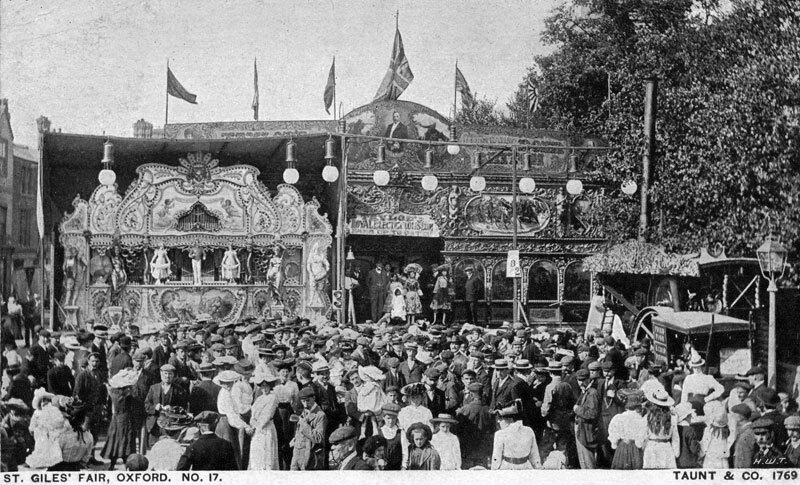 This means that when 1 September is a Saturday, the fair is held at the earliest possible time (3 & 4 September); but when 1 September is a Sunday, the fair is held at the latest possible time (9 & 10 September). 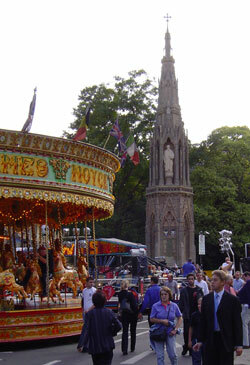 In 2018 it will be held on Monday 3 and Tuesday 4 September. 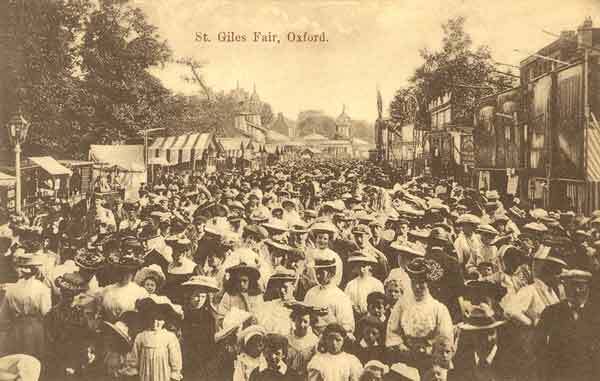 The Fair evolved from the St Giles’ parish wake of the early seventeenth century, which later became known as St Giles’ Feast. 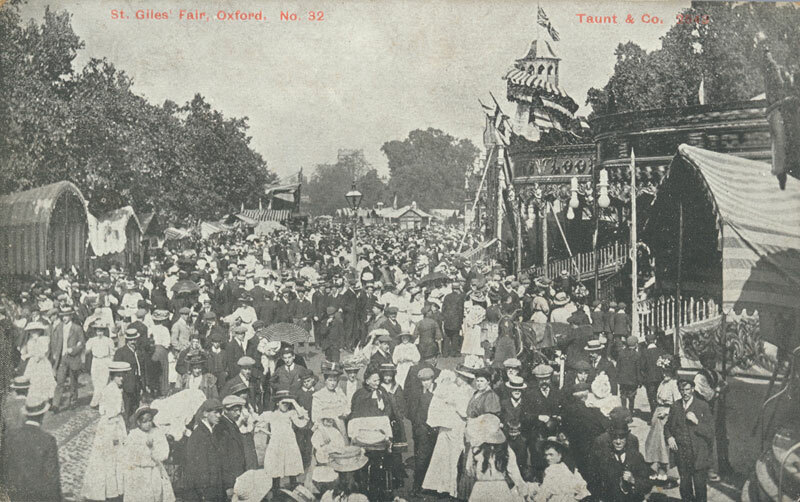 In the 1780s it was a “toy” fair (selling miscellaneous cheap and useful wares), and by 1800 it had become a general fair to entertain children. 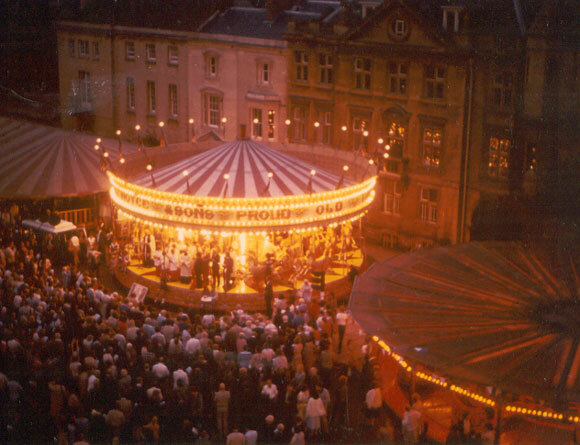 From the 1830s there were amusements for adults as well. 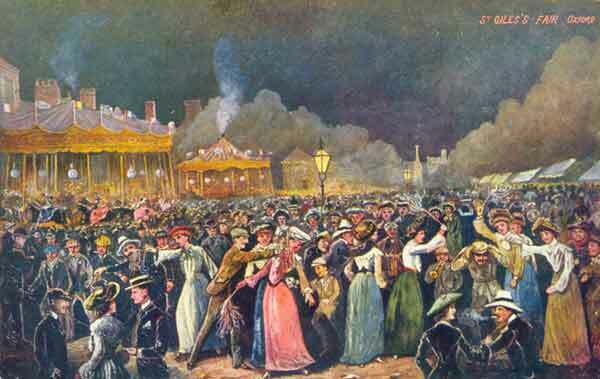 By the end of the nineteenth century there were several proposals to close it, as it had become too rowdy and licentious. 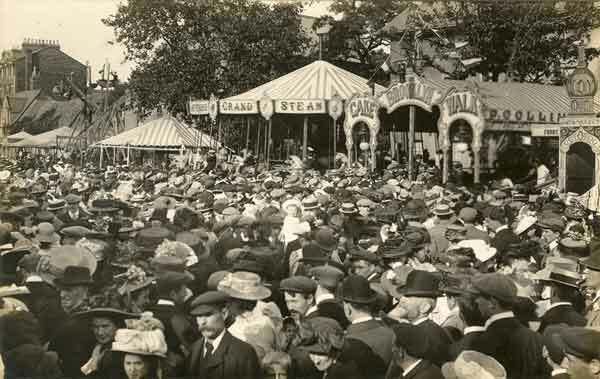 In 1930 the city corporation (now the city council) took over the control of the fair. on the right (behind the present No. 30, lower building with the double gables).